Advances in biobehavioural sciences are bringing important changes in the field of intellectual disabilities. Of particular interest is the description of particular behavioural phenotypes related to but distinct from genotypes, and the extent to which they are specific. 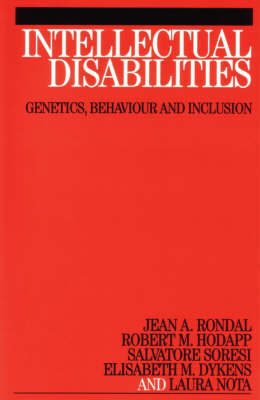 In this text, more than 20 particular genetic syndromes with marked levels of intellectual disability are identified and described from a variety of points of view, including cognitive, language, behavioural, adaptive and social and community inclusion aspects. Readers should better understand genetic intellectual disabilities and how they affect individual behaviours. Researchers and practitioners, including mental health professionals, speech--language therapists, special educators and social workers, should learn considerably more about actively researched syndromes such as Down, Williams, Fragile--X, Prader--Willi, Angelman, Rett, 5--p (Cri--du--chat), Noonan and several others, and obtain the evidence--based information they need to improve developmental, educational, occupational and residential situations, favouring inclusion for the people with intellectual disability syndromes.